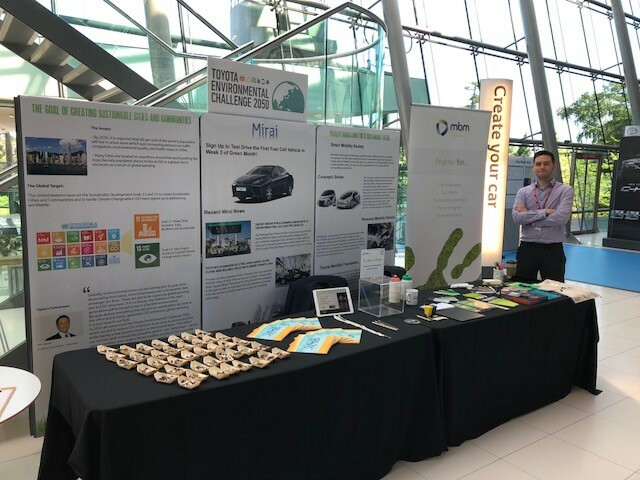 MBM Omega recently supported Toyota’s Green Month Campaign by showcasing a range of items from our Eco range. The annual Campaign is aimed at engaging Toyota employees, and raising their environmental awareness. MBM Omega staff interacted with attendees about how they can use better quality long life recycled and green products and consider the waste and energy impacts of their purchasing decisions. The event was a great success with attendees taking a real interest in some of the innovative products on show.